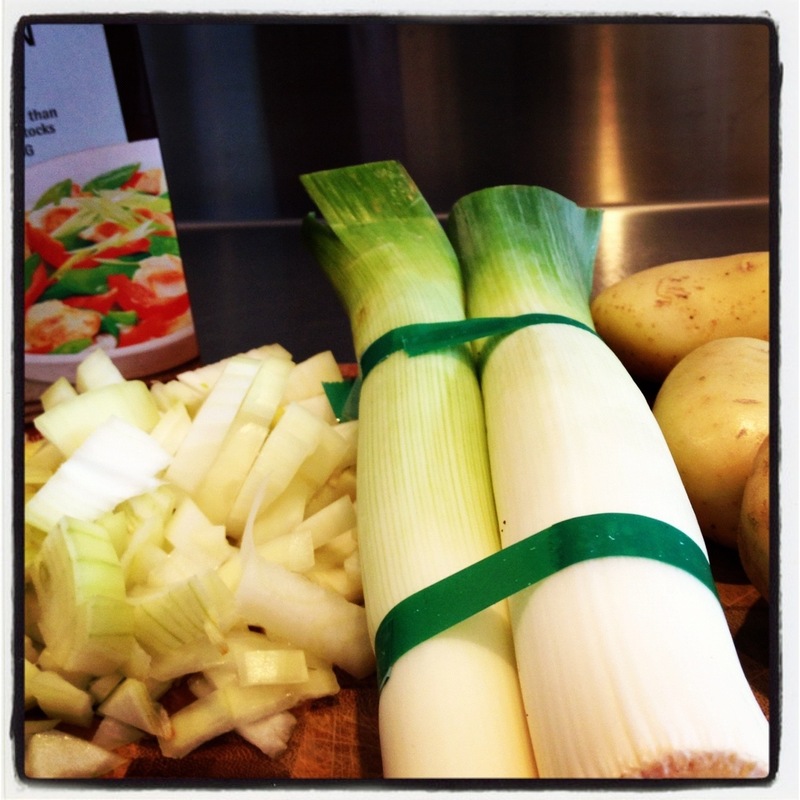 Vichyssoise is pretty much leek and potato soup – it’s made from leeks, onions, potatoes, cream and chicken stock. 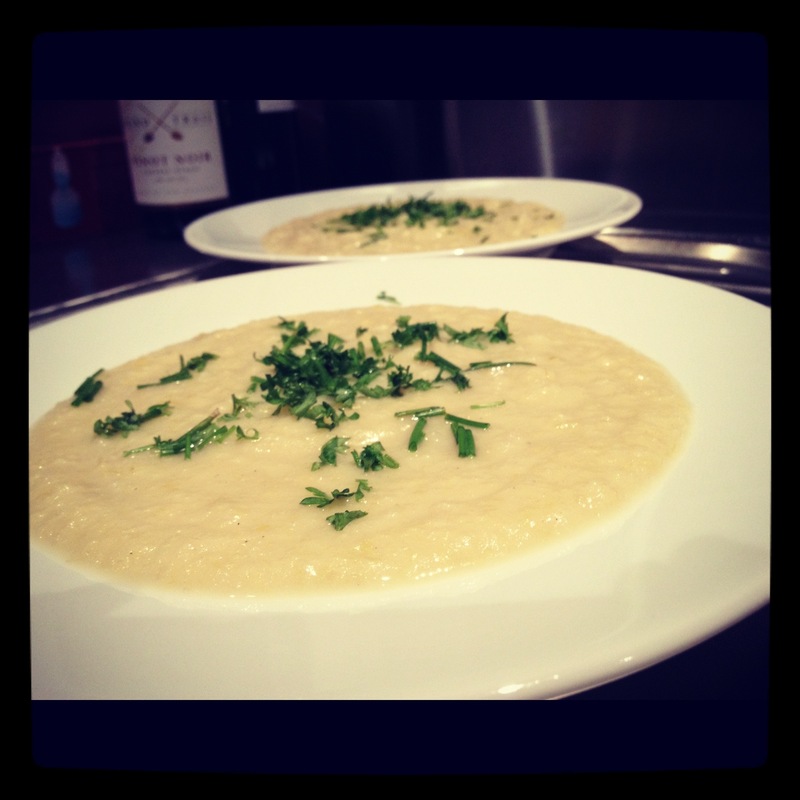 Vichyssoise is thought to have been invented by French chef Louis Diat, who was from the town of Vichy in France. He was the Chef de Cuisine for the Ritz-Carlton hotel in New York and concocted this dish, which is traditionally served cold. This is my recipe rather than the traditional one, and we ate it hot, given that it is the middle of winter here in New Zealand! 1. Melt the butter over a low heat in a large saucepan. 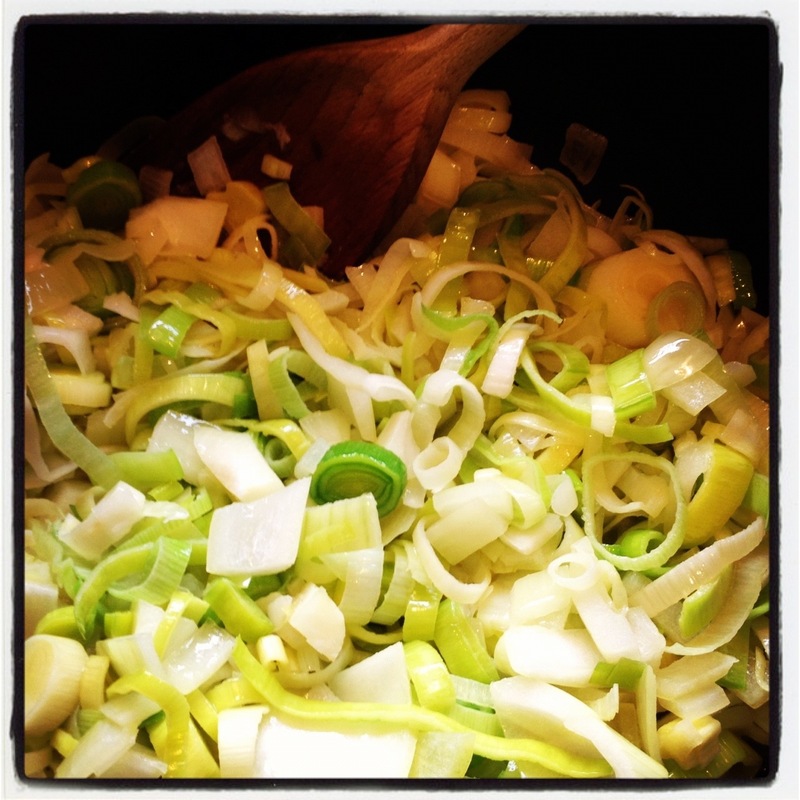 Add onions and leeks, and gently sauté for 10 minutes. 2. Add the chicken stock, potatoes, salt and pepper and boil until tender. 3. Using a blender or stick mixer, blend the soup. Add the milk and cream. 4. If serving cold, chill in the fridge. Sprinkle with chives and parsley and serve.